(Above) The unprepossessing facade of St. Cyril’s (center). St. Mark’s Place, the “Fifth Avenue” of the East Village, features all kinds of businesses – more and often less reputable – operating out of storefronts and walk-ups in various states of disrepair. In the midst of this is St. Cyril’s church. 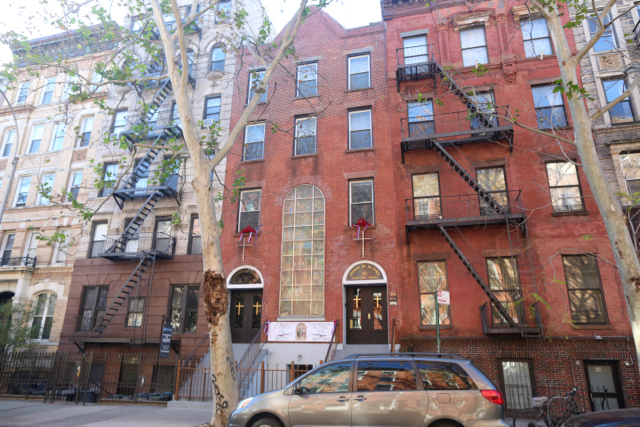 It is one of that handful of Manhattan Roman Catholic parishes that never made the transition from the early years of poverty in basements, brownstones or tenements to a proper church or school (one also thinks of the old parish of Our Lady of Guadalupe or of St. Joseph in Battery Park City). St Cyril’s parish was organized in 1916 at this location. It is the national church of the Slovenes. The patrons were St Cyril and Methodius. 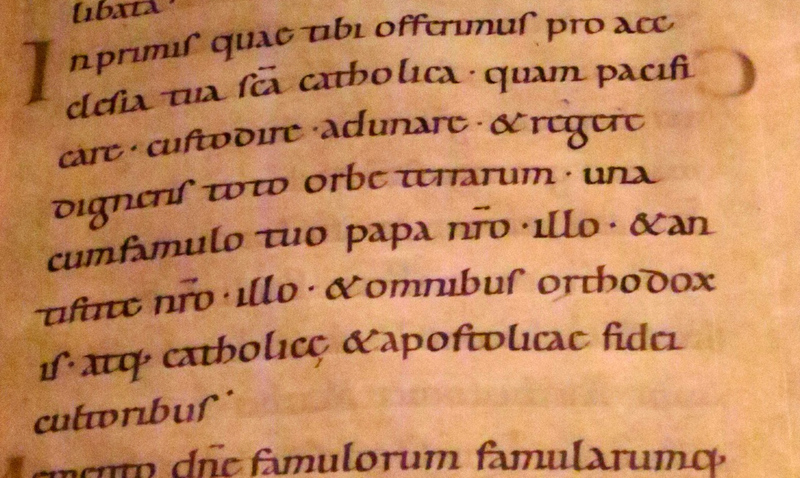 At some point this was shortened to St. Cyril – perhaps because of the existence of the parish of St. Cyril and Methodius of the Croats? (In Europe Croats and Slovenes are next-door neighbors but in New York City their churches are on opposite sides of town). St. Cyril has always been a Franciscan parish. Now the Slovenes are one of the more obscure nationalities making up the Archdiocese of New York. They are a Slavic people inhabiting lands directly adjacent to Italy and Austria. 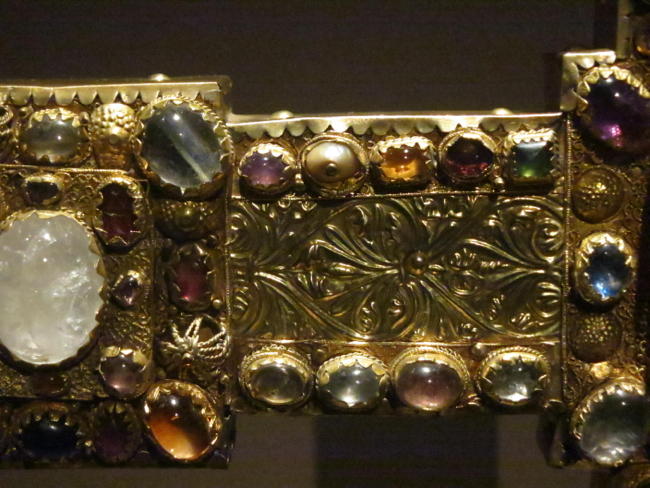 The Slovenes were the first Slavic nation to convert to Christianity around 800 – in other words, well before the missionary endeavors of the patrons of this church, the “Apostles to the Slavs.” Over the centuries the Slovenes were almost fully integrated in the surrounding German culture of the Holy Roman, then of the Austrian Empire, yet always retained their own nationality. And after an interim period last century in Woodrow Wilson’s Yugoslavia Slovenia has been independent since 1991. Most Slovenes who came to the United States migrated to areas with mining activity. But the small New York community is in part attributable to women skilled in weaving straw hats! Domžale (Domschale) is a town where the weaving of hats used to be a prominent industry. The women who did this work found their skills much in demand in the New York millenary industry of around 1910. The visitor to a still functioning ethnic parish of this neighborhood would expect some kind of relic from a past age – perhaps decrepit but sheltering unusual images and paintings. Nothing prepares him for the surprise of encountering an ultra-modern interior in perfect condition! 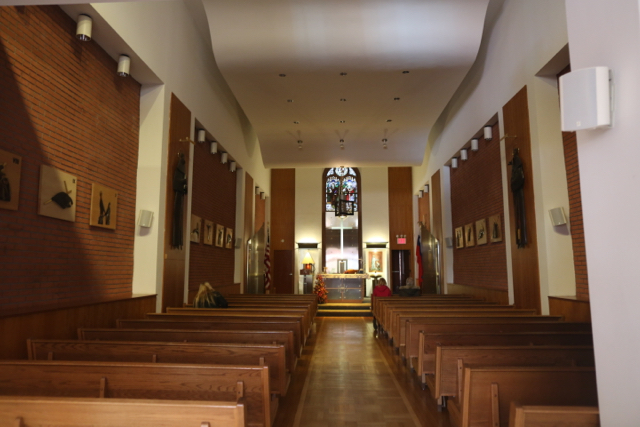 For the interior of St Cyril was entirely rebuilt in 1997. 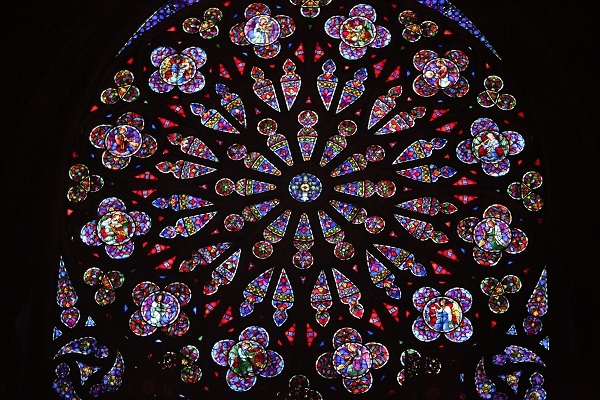 But for a few items – liked the stained glass windows of the patrons or of Frederic Baraga – all of the art of the church also was created at that time by Slovenian artists. 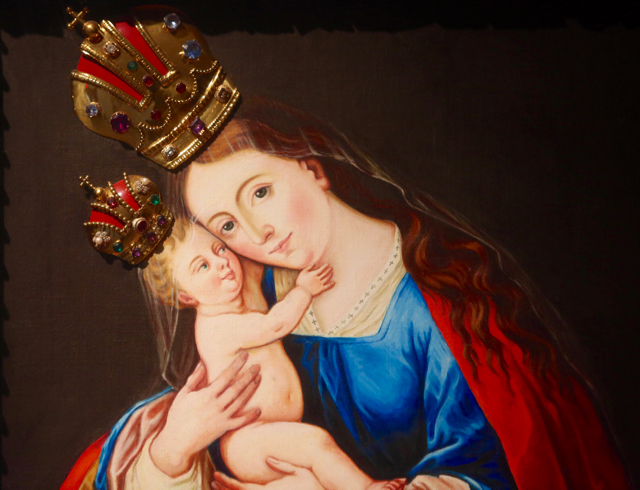 Even the traditional image of the Madonna of Brezje (Pirkendorf) is a new copy from 1997. Indeed, St. Cyril may be the most successful modern interior of a New York Catholic church since St Catherine of Siena (1930). 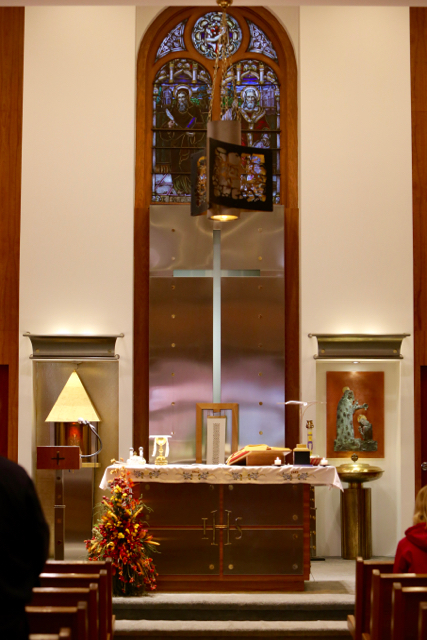 Even though its relative success is largely due to eschewing the grotesque faults of post 1950’s “modern” Catholic churches and to the unity of its décor. The interior of St. Cyril’s: (above) lights out; (below) illuminated. 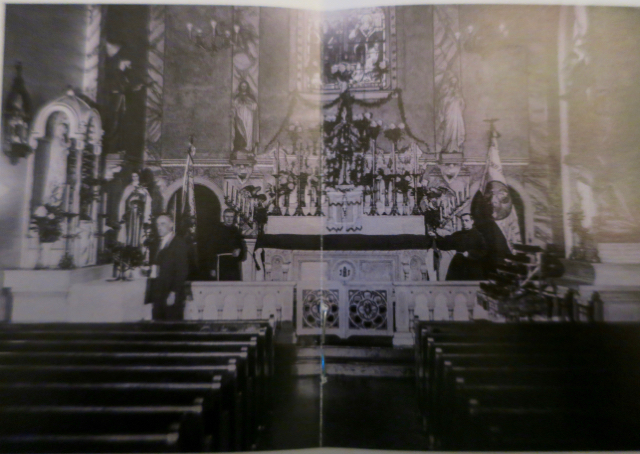 (Above) An old picture of the interior (from:The Church of St. Cyril: 100th Anniversary 1916-2016). The original furnishings seem to have disappeared before the installation of the Frederic Baraga window in 1986. 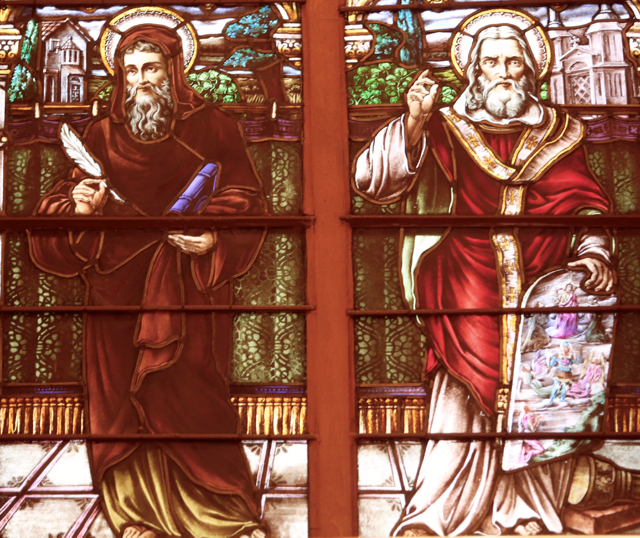 (Above and below) an inheritance from the past: the window of Saints Cyril and Methodius. It is all very Central European – highly reminiscent of similar structures in Austria or Germany. On a recent visit, I noted the same to be true of the very small but well dressed congregation. My Slovenian is virtually nonexistent, but with my Rascher loden hunting jacket (designed in Germany, made in Poland) I felt I fit it in very well. But there is at least one significant difference between the New York Slovenes and their Teutonic neighbors back home: the friendly welcome the visitor receives at St. Cyril’s stands in greatest possible contrast to the suspicious, glaring eyes that usually greet the foreigner in Catholic churches of the German-speaking nations. 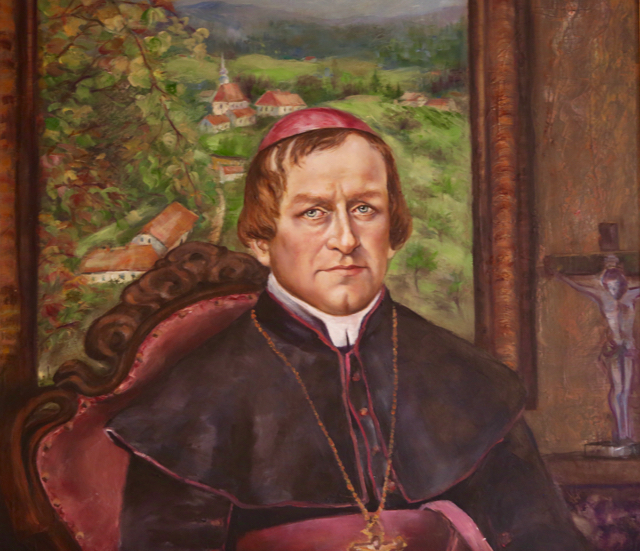 (Above) Subject to correction by Slovenes, I believe this is a painting of Blessed Anton Martin Slomšek, 19th century bishop, author and advocate of Slovene culture. 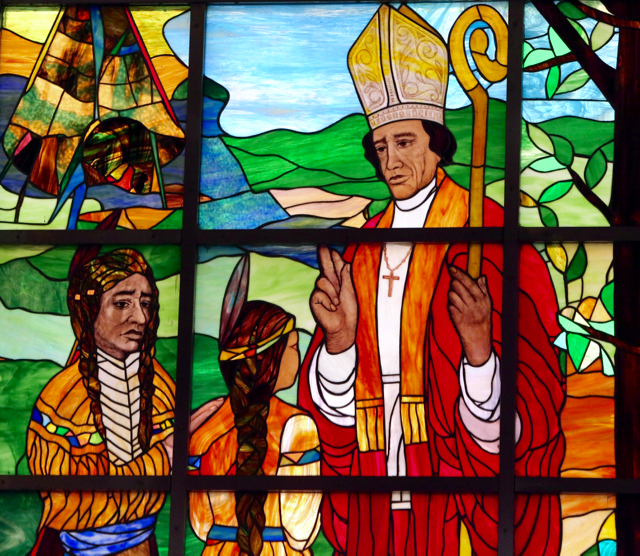 (Below) Window of Venerable Frederic Baraga, first Bishop of Marquette. Yet, even though this tiny parish celebrates only one mass – in Slovene – on Sunday, St Cyril’s soldiers on. Indeed, the parish’s 100th anniversary was celebrated in grand fashion in October of this year by the archbishop of Ljubljana, the largest city of Slovenia. The mass was followed by a dinner dance at he New York Athletic club at which Cardinal Dolan spoke. 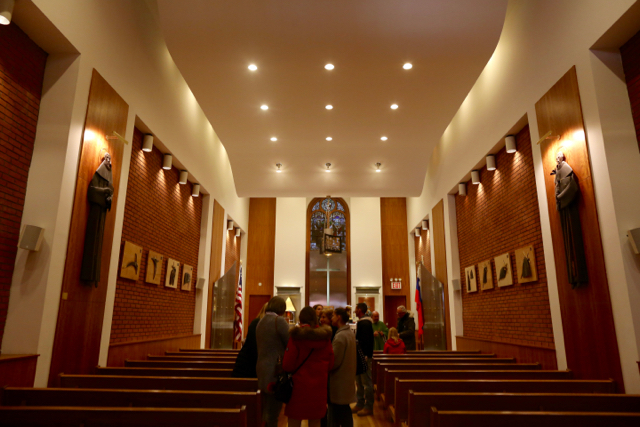 As is evident from their church, these Slovenes seem to dispose of financial resources – and ecclesiastical and political connections – far exceeding those of the average New York parish! I do hope they can keep this parish going – a testament to the true diversity that used to mark the Archdiocese of New York.